We made it through another week ! We have introduced most of our center materials that are out and went through our routines many , many times. We have learned most of our friends names and we have learned what our voice levels are. We have laughed l We have gotten muddy and we have played in the rain. We have read books and we have sang songs. We have danced and we have painted. Sometimes it makes my head spin to think of all the things we do in the course of a week. 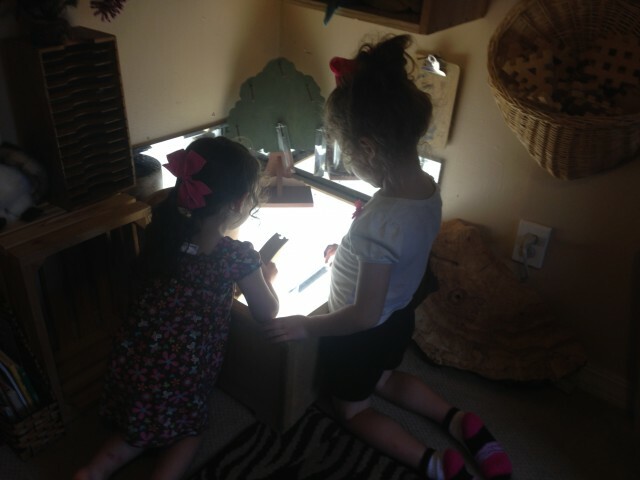 If it seems like a lot to me can you imagine how overwhelmed the littles may feel ? Along with conscious discipline there is a book series . The lead character in all the books is Shubert . The teachers name is Mrs. Bookbinder. 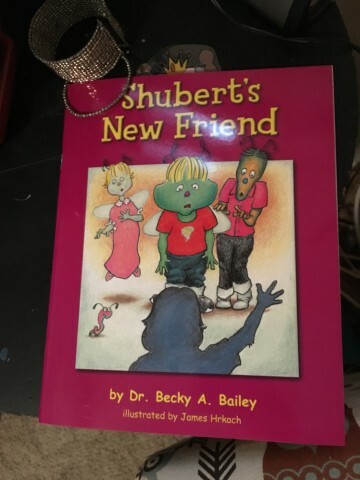 The book series teaches us the principals of conscious discipline Today our book was ” Shuberts New Friend ” The downside of the books are they are VERY wordy for preschoolers . Sometimes we improvise and condense the words on each page. We did get to play outside a little this morning before the rain came in. In quality settings atleast one hour of outdoor vigorous play is scheduled . 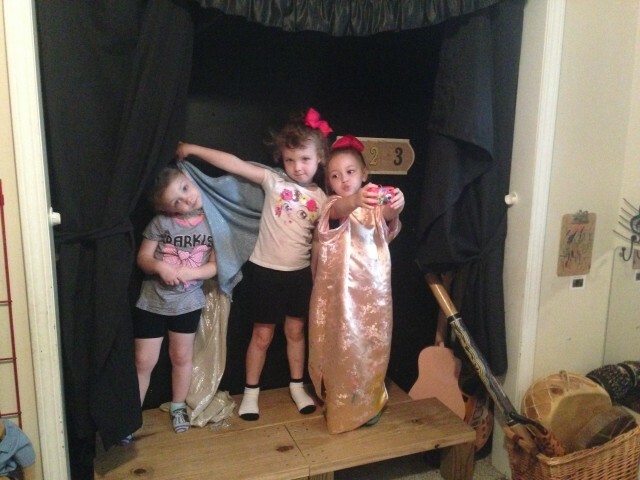 When outside is not available due to falling precipitation or weather warnings we have a box of ” rainy day toys .” Inside the box are toys that represent 9 gross motor skills. ( I know you are thinking.. I had no idea this much thought goes into playing. ) Since we are still learning the materials we have now we did not take down the rainy day box today but eventually that will be something they look forward to. 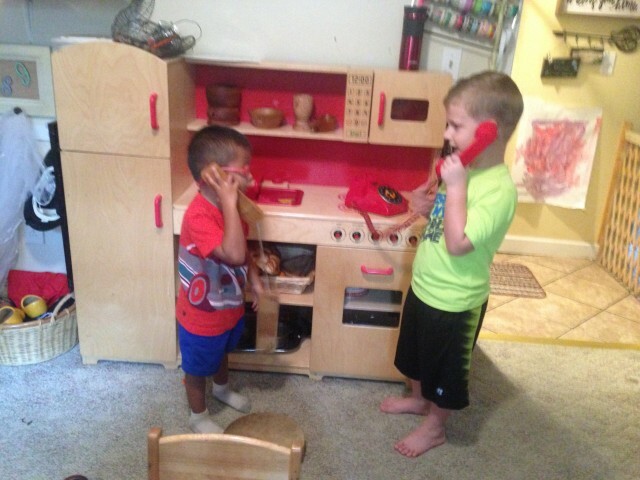 I wonder are the two questions for points of communication with your child helpful each day ? It is more difficult than you would imagine . We are taught in early education to use open ended questions. A question like ” what color is that block ?” evoke a one- word answer. But an open ended question , ” Tell me about the blocks you are using, ” encourages a child to describe the blocks or explain what she is doing. There is no right or wrong answer. An answer to an open ended question gives us a window into what the child is thinking or feeling . In their response children are able to practice their growing language skills. What else can you do with the playdoh ? What could you use to make the towers higher ? Is there another way to… ? It is very difficult to flip the switch and start using open ended questions. If we all do it imagine the higher levels of language we will see by year end !